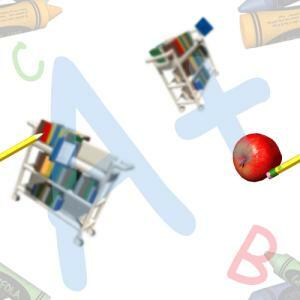 $1.00 per day for each day the child attends VPK at Academy of Achievers. 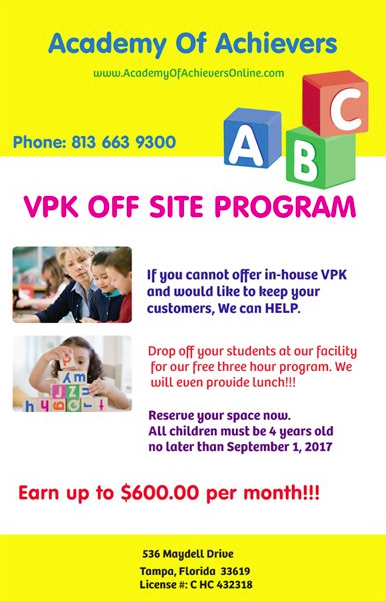 $1.00 per day for every 3 Hour VPK day attended by the child you refer to Academy of Achievers for the entire time the child is enrolled. Copyright © 2019, Academy of Achievers, LLC. All rights reserved.